So I have always been really skeptical when it comes to shampoos. I never thought that a shampoo could dramatically improve your hair. This was maybe because I hadn’t found one that actually worked, so I never really bothered investing in a higher end shampoo. Until recently. If you saw my latest beauty haul then you know that I last month I picked up Macadamia’s Luxe Travel Set, which comes with five travel sized products including the Rejuvenating Shampoo. I was really excited to try it out but still the skeptic in me was telling me not to have high hopes. Well I couldn’t be more wrong because I immediately saw / felt the incredible result of this shampoo. Now for the actual properties of this shampoo – well as I said I love it and it works miracles to my hair. From the very first use I could feel that I am using a really luxurious product on my hair, which is amazing! It feels so soft and smooth and the incredible scent works as aromatherapy of me haha. Just a little heads up – you will need to take a little time to lather the shampoo but it’s not that bad, I promise. When the shampoo is nicely foamed I like to really massage the product into my scalp so that the whole dirt and build up are gone. When doing this with the Rejuvenating Shampoo my scalp instantly feels clean and fresh, which I was so pleasantly surprised about! Then I just rinse well my hair and I can feel how much smoother and detangled it is! The biggest difference I notice, however, is when I go out of the shower and blow-dry my hair – it not only feels clean but it’s also really hydrated and silky! I also wanted to mention that this shampoo doesn’t weight down my hair (10 points for that) and I feel like it thickens and gave my hair more volume, which is incredible! 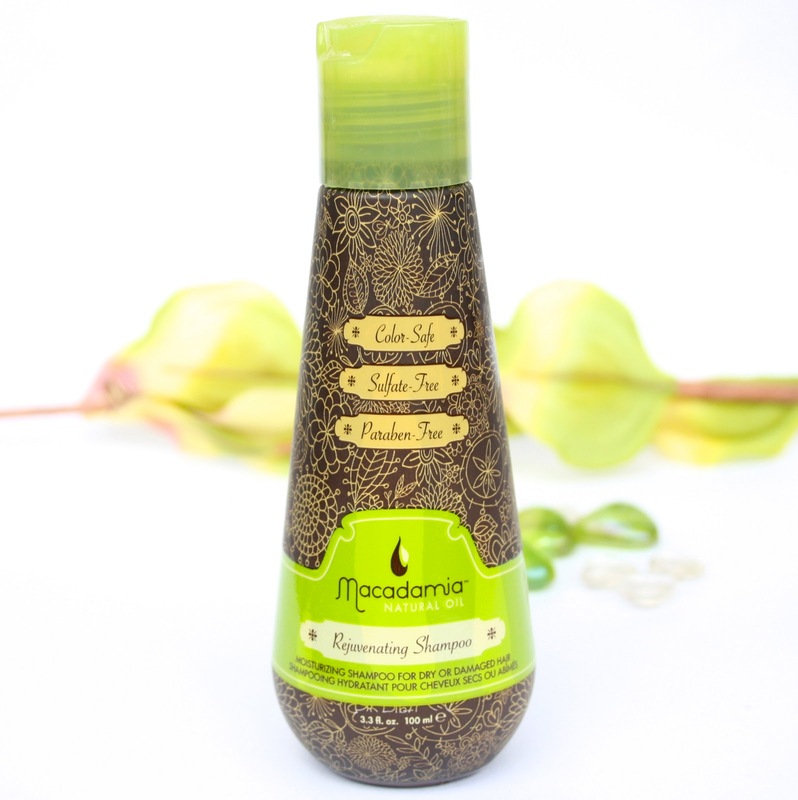 According to Macadamia, the Rejuvenating Shampoo is great for all hair types and works especially well on dry, damaged hair and it also build protection from harsh daily environmental elements. It is also color-safe (which is definitely true), sulfate-free and paraben-free. I honestly cannot tell you enough how much I love this shampoo and how much it has changed my hair condition. My hair is now much more alive, voluminous and hydrated, which is so wonderful! I will definitely purchase the huge bottle when this one runs out and I most definitely recommend checking this shampoo out because it is really amazing and works wonders! Have you tried this shampoo? 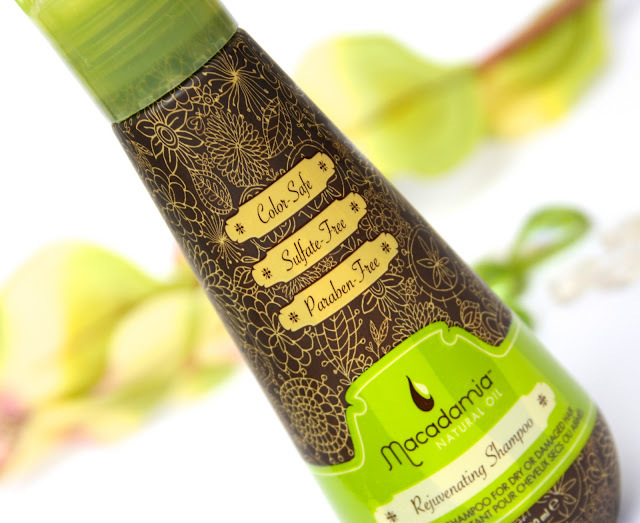 What products from Macadamia you like? I absolutely adore Macademia oil, I've only tried that and none of their other products but I recommend it to everyone! I 've heard so many good things about this brand! I've never actually tried any of their products but really want to. That's amazing that it gives your hair more volume as well as making it feel more hydrated. Sounds like a great shampoo all round. Really detailed review :) Heard good things the Macadamia products. I'm always skeptical about shampoos actually doing anything too but this one sounds amazing. Dying to try the oil too. I've never tried any products from this brand, but now I really want to! It is such a cute bottle. I've never seen or heard of this shampoo before. I've never used a hair product before that has made my hair feel any different, it's def something I would like to try though since you gave it such a good review! ohh i'm intrigued by this brand since its sulfate free which is something my hairdresser recommends...very interesting post! I have to try this product :)Great review! I had a sample of the oil from this line but unfortunately I couldn't use it (nor would I be able to use this shampoo) since I'm allergic to nuts. Wish I could! I've never tried any products from Macadamia apart from the healing oil (which I love) considering you have blonde hair and love this I may give it a go! I LOVE their deep conditioner! Agree about your thoughts on shampoo! Never found one that gave really dramatic changes.. yet. I haven't tried this products yet coz it's not available here in the Philippines but if I can find it, I might try the deep hair masque/mask one! The bottle looks super elegant! I've heard of Macadamia, but I have still yet to try it. Lack of money really and I always seem to forget. The bottle looks lovely and I think this makes me wanna go get this shampoo. Maybe it'll help with my hair too. Never had any Macadamia products but definitely want to try some of them out! I really want to give it a try! Hope youy feel better soon :) I haven't seen this around yet but it sounds so great! wow, great post and pics! Ur blog is so nice, I think I will be here more often - I'm your new follower and I'm waiting for more posts! Ooh, this sounds lovely! Since I started coloring my hair I'm trying to use better products to take care of it. I love the smell of macadamia oil products! With today's mass commercial products featuring an assortment of chemicals that are toxic for our bodies, it's nice to see people who promote natural, healthier lifestyles. I have also embraced a more natural lifestyle by using a Natural Shampoo that leaves my hair healthy, radiant, and beautiful without the excess toxins. I will give this Macadamia product a try as well! Tweakbox for iphone on apple iphone as well as ipad will certainly assist you out. TweakBox Download The TweakBox Apk is just offered on our system in addition to the Framaroot for android. Assistance as well as healthy food digestion for your expecting pet dog All these come together with the essential minerals.
. I am also reading through all your other blog posts as well.